New York, NY – October 11, 2018 – To celebrate the upcoming holiday season, three-time GRAMMY® nominee Joey Alexander will release A Joey Alexander Christmas, a four-track digital-only EP, set for November 2 release on Motéma Music. The EP follows the release of the 15-year-old’s critically acclaimed spring album Eclipse as well as his recent September collaboration on the socially conscious Legion of Peace project. Alexander refers to the Christmas season as “simply the best time of year,” and as an artist who has routinely cited his faith as a central source of inspiration, the opportunity to record and release this music holds deep meaning for him. “My faith in Christ has helped keep me grounded,” says Alexander. “I chose ‘What A Friend We Have In Jesus,’ because Christmas is really about our relationship with Jesus, above all the usual Christmas season traditions.” As Alexander first experienced this Gospel song on Aretha Franklin’s iconic 1972 recording, he comments that his new recording of the classic also doubles as a tribute to the Queen of Soul, who he has loved since childhood and considers a key influence. In addition to these recordings, A Joey Alexander Christmas also features a remastered version of “My Favorite Things,” a duet with Larry Grenadier that was one of the most popular songs on his 2015 debut album of the same name. Together these four tracks serve as a beautiful musical holiday gift, and also offer a mini-retrospective on this extraordinary young man’s recording career since he first burst onto the scene at the Jazz at Lincoln Center Gala in spring of 2014. 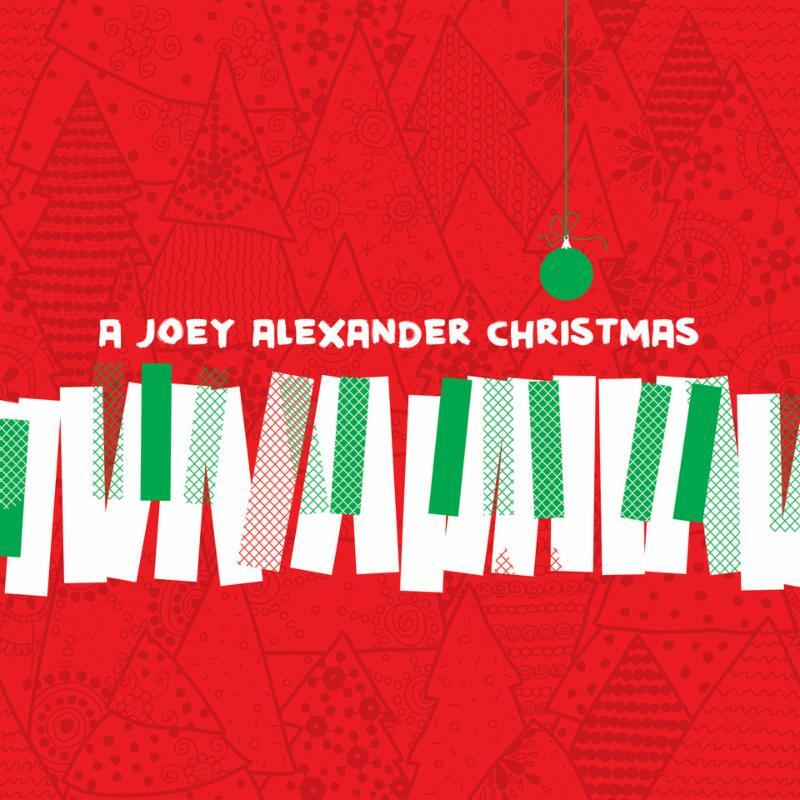 The release of A Joey Alexander Christmas comes as Alexander has embarked on an exciting fall with new music showcasing different facets of Alexander’s expanding artistic depth and versatility, some high-profile U.S. performances and the unveiling of three compelling in-studio videos from his Eclipse sessions. Also in the spirit of creating music with deeper meaning, Alexander chose this year to participate in Legion of Peace, a jazz-based Children’s music album with musical profiles of eight of our the world’s greatest peacemakers, namely the Nobel Peace Laureates Desmond Tutu, Malala Yousafzai, Leymah Gbowee, Jimmy Carter, Jody Williams, Ralph Bunch, Wangari Maathai and Muhammad Yunus (who provides the spoken word introduction to Legion of Peace). Written and sung by GRAMMY®-nominated children’s music artist Lori Henriques, Legion of Peace was released on Motema on September 21 (to celebrate the U.N. International Day Of Peace) and also features fellow Motéma artists Pedrito Martinez and Oran Etkin. June 2018, when Alexander turned 15, also marked the fourth year since he burst onto the New York jazz scene by performing at the Jazz at Lincoln Center’s 2014 Gala at the Rose Theater in New York City. At the gala, then ten-year-old Joey Alexander performed his astonishing rendition of Monk’s ‘Round Midnight which inspired a spontaneous ovation from the astute audience, the Jazz at Lincoln Center Orchestra and the host Billy Crystal. After that momentous occasion, word spread quickly about the young family who had brought their extraordinary son to New York, so he would be able to progress further as an artist by ‘playing with the best musicians.’ What transpired next was one of the most rapidly ascendant careers ever seen in jazz. Now, four years, four releases and three GRAMMY® nominations later, the question of whether Alexander is the real deal, is no longer raised; the only question is, what will he do next? This year he returns to Rose Theater to perform with strings for the first time on October 19-20. “Joey Alexander with Strings” will showcase Alexander’s original compositions from Countdown and Eclipse, as well as perhaps some Monk and some spiritual offerings (collaborating with acclaimed composer/arranger Richard DeRosa on string arrangements). Alexander will close out his fall schedule with a return to SFJAZZ’s Miner Auditorium, December 13-16, where his trio will premiere new original compositions, Christmas songs and other surprises. All in all it’s been a highly productive year for the young artist, who in addition to a packed U.S. performing schedule has been honored internationally with invitations to perform at special events for the Louis Vuitton Foundation in Paris, The Asian Games in Jakarta, and for the 60th anniversary of relations between Indonesia and Japan taking place in Tokyo on September 25. The recording and release of Alexander’s video “Bali” – filmed in his homeland and set to his composition of the same name – was also a highlight of the year for the young artist, who has emerged not only as an astonishing young player, but as a developing composer of note and a particular favorite at Jazz Radio. (Eclipse, which included six original compositions, spent a nearly unprecedented nine weeks at #1 on JazzWeek Radio Chart). When asked what’s next, Alexander humbly responds: “As I play more of my original music, I enjoy and feel inspired to write even more.” It’s clear that the world can look forward more pleasing surprises from this dedicated young man.